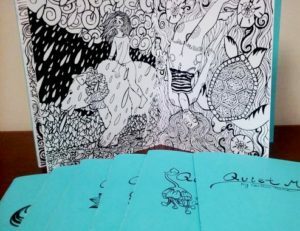 Department of Art | Coloring Book ‘Quiet Magic’ by FSU Art ’15 BFA Caitlin Hare released! Home » News » Coloring Book ‘Quiet Magic’ by FSU Art ’15 BFA Caitlin Hare released! Coloring Book ‘Quiet Magic’ by FSU Art ’15 BFA Caitlin Hare released!